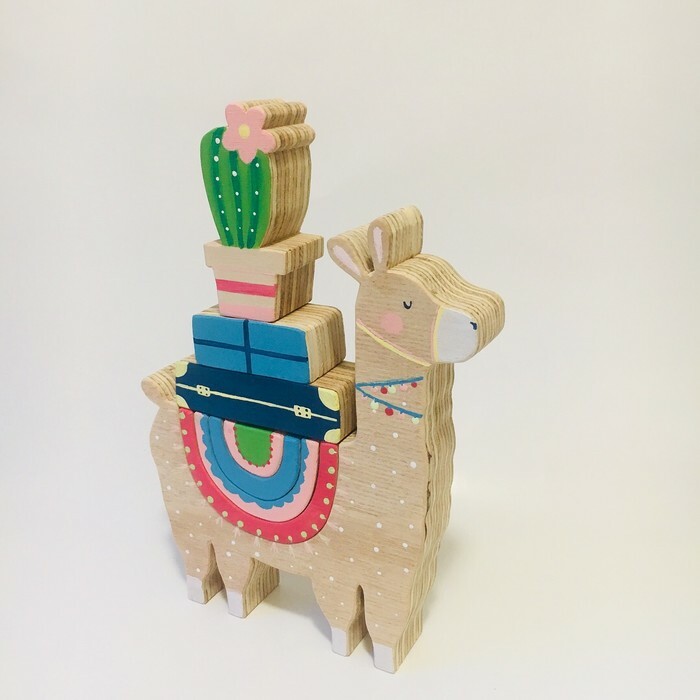 LULU Llama is perfect for any shelf or gentle play. 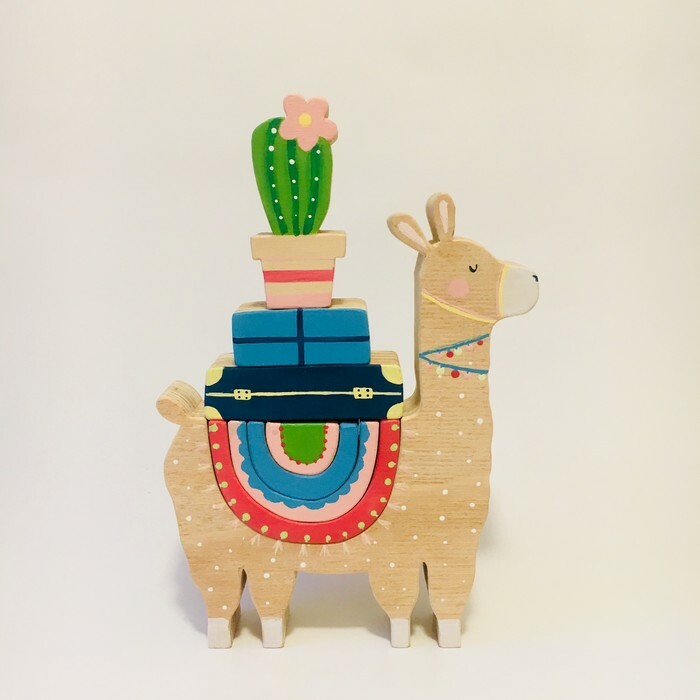 She has a 4 piece rainbow ‘coat’ with a suitcase, present and a cactus balancing on top. Fun for all ages. 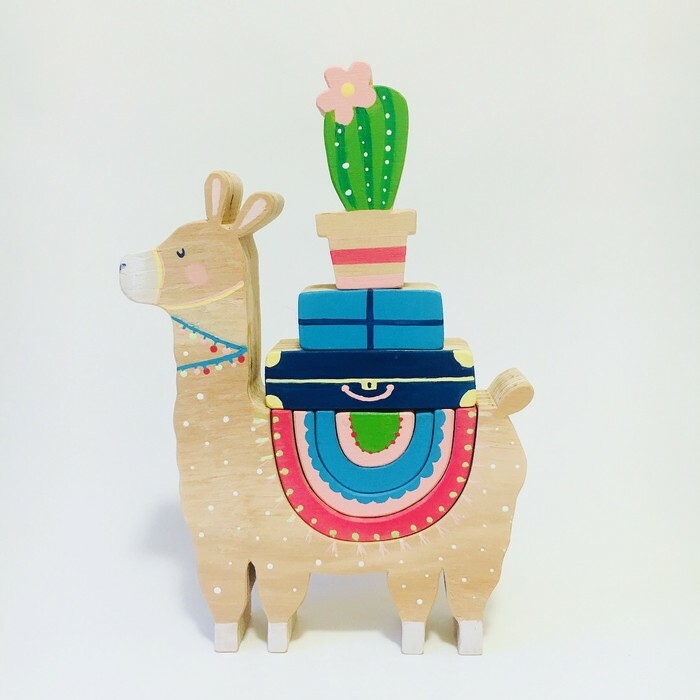 LULU Llama is hand cut out of plywood, sanded then hand painted with non toxic acrylic paint and finished with natural beeswax. 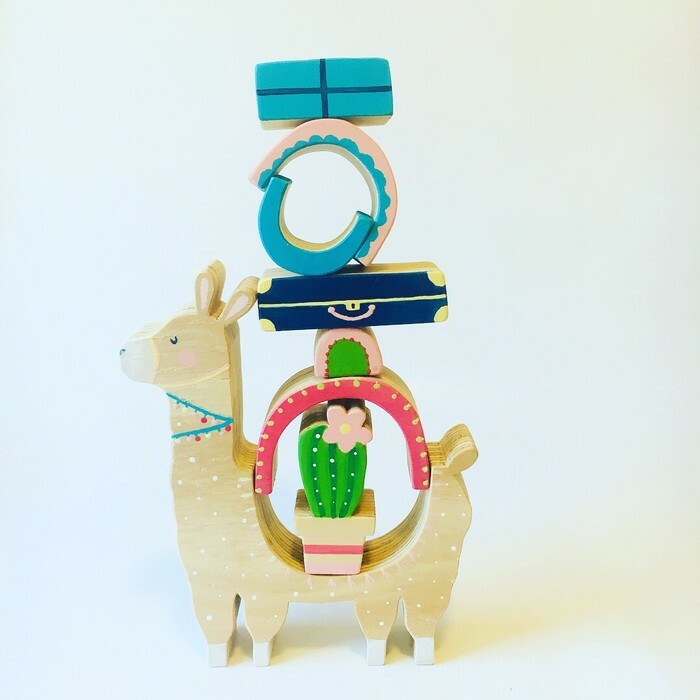 This all happens in our home workshop.